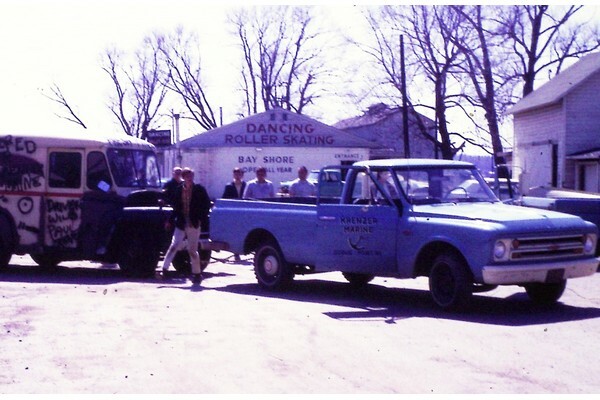 Bayshore Amusement Park was located on the south side of Greig Street near what is now Krenzer’s Marine. It was set up in a vacant lot next to what used to be the roller skating rink. It was only in existence for a couple of summers during the 1950s. Several old-time Sodus Point residents have mentioned that is gave our village a “Coney Island” atmosphere during its short life span. Mrs. Helen Doreen was the proprieter. 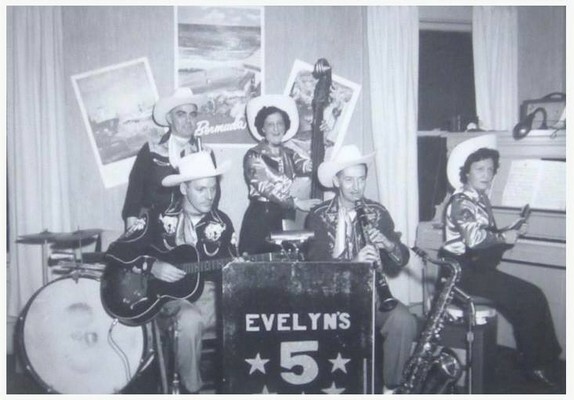 The above photo is Evelyn’s Five Star Rangers which was a Rochester band that played several times at the dance hall at the Bayshore Amusement Park. Think of them as Roy Rogers and Dale Evans on steroids. Barbara Giglia remembers: I use to sweep the floors when I would skate for free. The cottage (next to it) was one of the old ice houses across the bay where they stored the ice blocks that later was converted to a cottage. 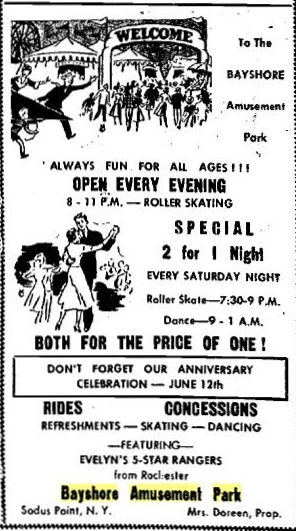 Kay Pennycoff-Gwilt remembers: My parents gave us each $1.00 for the evening ( .90 cents to get in the skating rink with .10 cents left for a pop! Such fun times! Marilyn Garner remembers: There was an end door that opened up and the water was right there. A couple of people went out the door and into they bay while skating then they put a piece of wood across the open door. 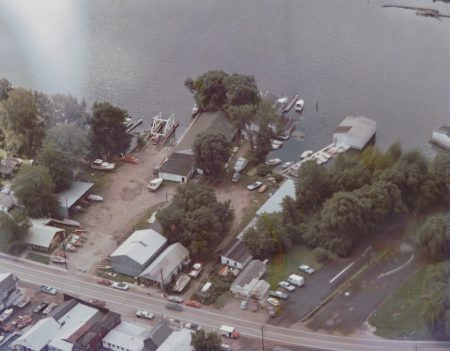 An aerial view of the Roller Skating Rink (center on the water) circa 1967/1968. Photo courtesy of Bob Chase Jr.